ATHENS, Ga.- Athens-Clarke County Police are searching for a man who shot his wife while their three children were nearby. 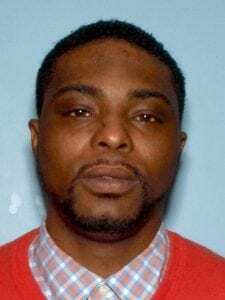 Courtney Jerrod Wiley, 30, is the suspect in a shooting that occurred Tuesday night at an Oak Hill Drive residence, according to a release this morning from the Athens-Clarke County Police Department. ACCPD says that Wiley shot his wife, Kasundra Wiley, in the chest and that their three children were present during the assault. Officers provided aid to her when they arrived to the residence, and she was then transported to Athens Regional Medical Center for treatment. Mr. Wiley left the scene before officers arrived, is still at large, and should be considered armed and dangerous, according to Athens-Clarke County Police, which describes him as a black male standing at 5-foot-10 inches and weighing 170 pounds (see picture). The arrest warrants issued for Wiley are for Aggravated Assault, Aggravated Battery, and Cruelty to Children (3rd Degree). ACC Police is asking that anyone with information on the location of Courtney Wiley to call 706-546-5900 or 911. Anonymous tips may be made to the Crime Stoppers Tip Line at 706-705-4775. *Update 3pm* Crime Stoppers is now offering a reward of up to $1000 for information leading to the arrest of Wiley, according to a special release from ACCPD. The shooting took place only a block away from Howard B. Stroud Elementary School in Athens, which is currently not on lockdown. Please stay tuned to this story on our website, @GradyNewsource on Twitter, and our newscast at 5pm for the latest on this developing story, Mr. Wiley’s whereabouts and possible charges, and Mrs. Wiley’s condition.